What is this red stemmed creeping plant in wet woodland? 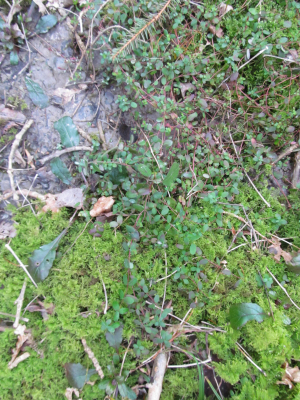 Observation - What is this red stemmed creeping plant in wet woodland? - UK and Ireland. Description: Creeping plant with red stems and opposite leaves. Creeping plant with red stems and opposite leaves.